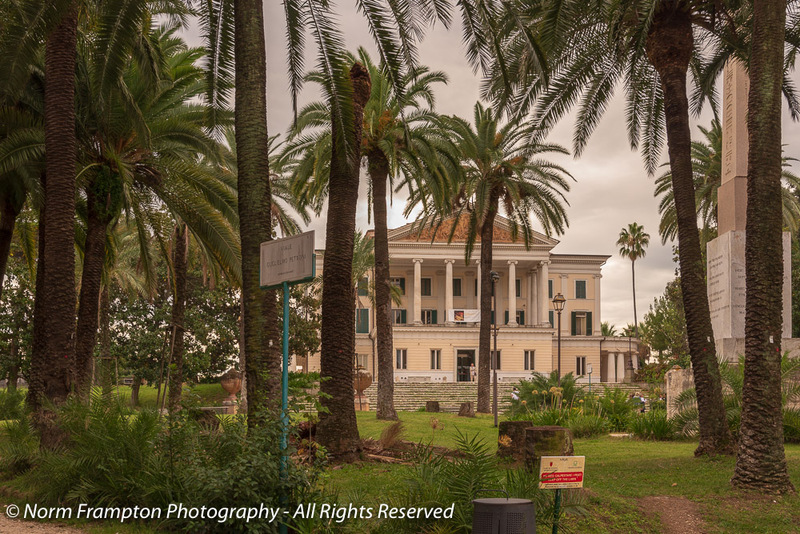 Built in the early 19th century by wealthy Italian banker Giovanni Torlonia, Villa Torlonia is a grand example of Neoclassical architecture in the heart of modern Rome. 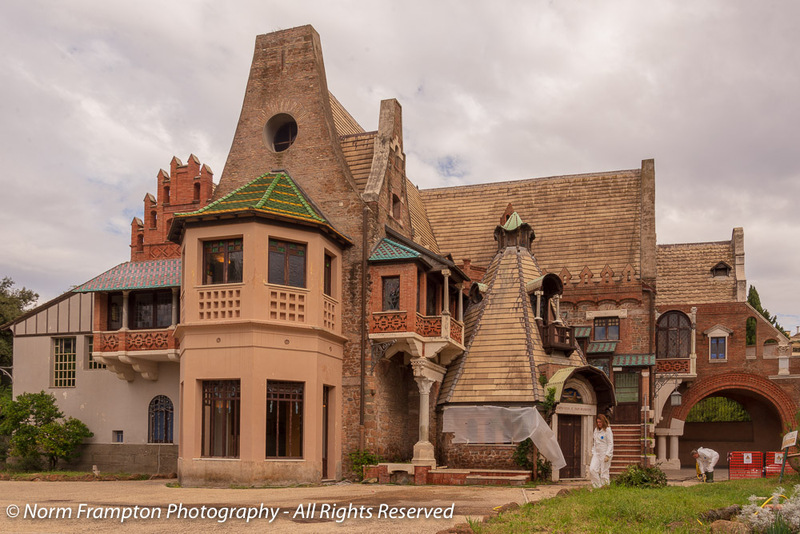 Today however I thought I’d give you a peek at one of the most fascinating structures found on the estate, the Swiss style cottage know as the Casina delle Civette or House of the Owls. 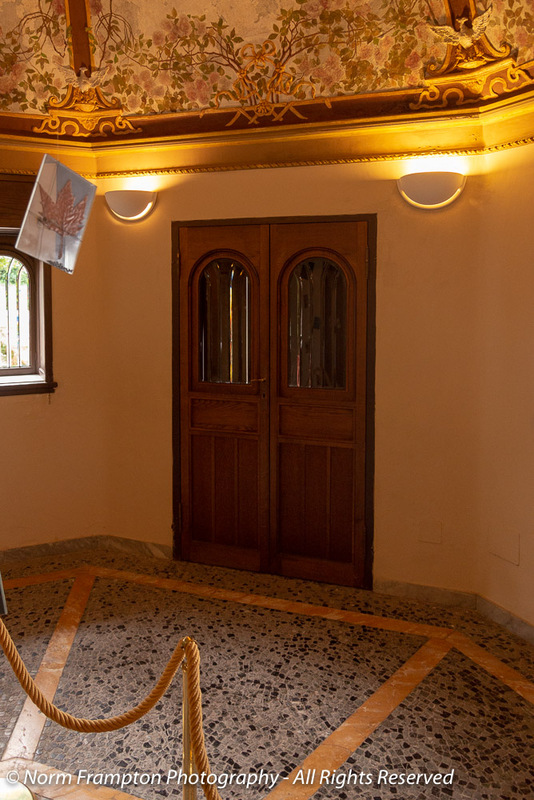 Designed as a secondary residence, or perhaps a guest house that was decidedly less lavish than the main building, its name seems to come from the Owl themed decor which started to appear in its decorating scheme in the early 1900’s. The other unique part of this building is the large variety of decorative stained glass that adorns every nook and cranny of the place. 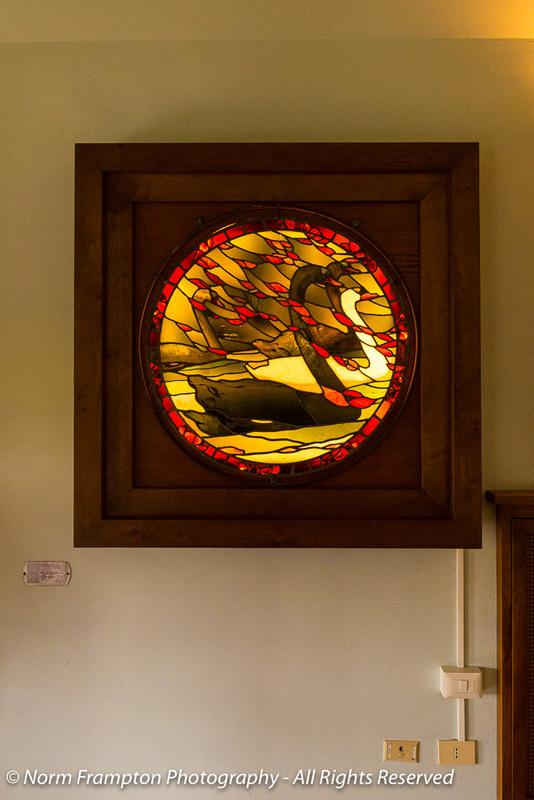 Virtually every door or window in the house contains a work of stained glass art and some of the pieces are just stunning to behold. Since we spent a good hour and a half walking through the place saying not much more than “wow”, I think I’ll just leave these here and let you admire for yourselves. 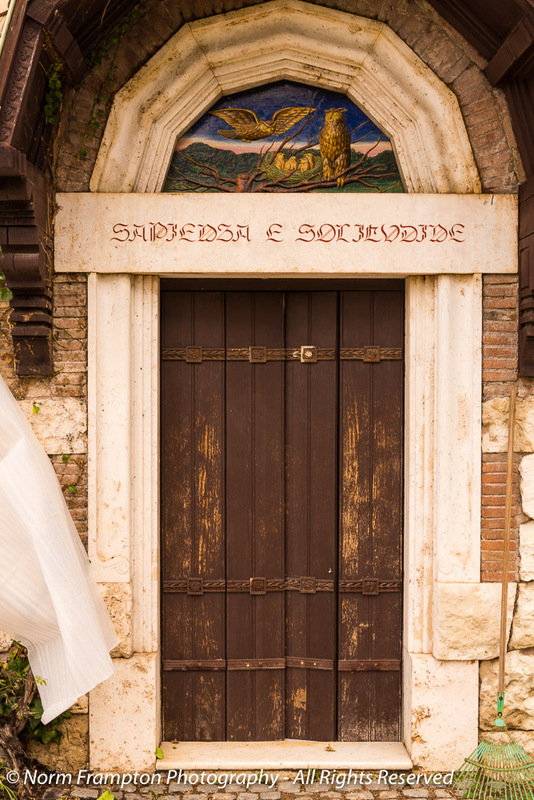 If Rome is on your travel list and you’re in the mood for something other than just ancient statues and ruins, an afternoon spent exploring the Villa Torlonia Estate would certainly be a worthwhile change of pace. 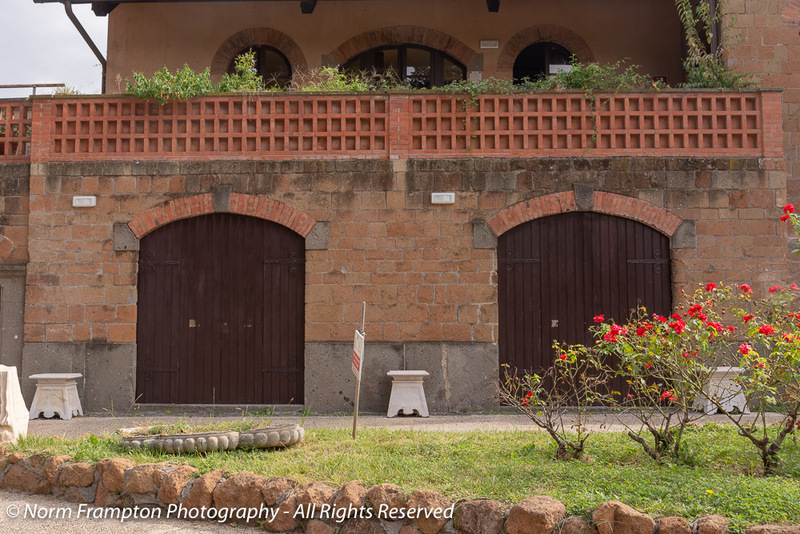 Gallery | This entry was posted in Photography, Thursday Doors and tagged Doors, Doorscursion, Historic Architecture, Historic Buildings, House of the Owls, Italy, Rome, Stained Glass, Thursday Doors, Tourism, Travel, Villa Torlonia. Bookmark the permalink. They appreciated birds. I love the stained glass pieces. So many owls too! That must have been a brilliant hour and a half, Norm. I thoroughly enjoyed your collection of doors which prompted me go through my photos and I realized I have photographed quite a few myself. Here’s my pic for this week. Welcome and thanks for dropping by. Unfortunately the deadline for last week’s entries has passed. Thursday Doors is open for entries each week between Thursday morning and Saturday at noon – eastern North American time. Feel free to swing by my post later this week and add your link to this week’s link-up list when it goes live on Thursday morning. Norm Thanks I will do that. Ohhh, my! Wow is right and not much to be added! I can just picture you going through these rooms and sighing. 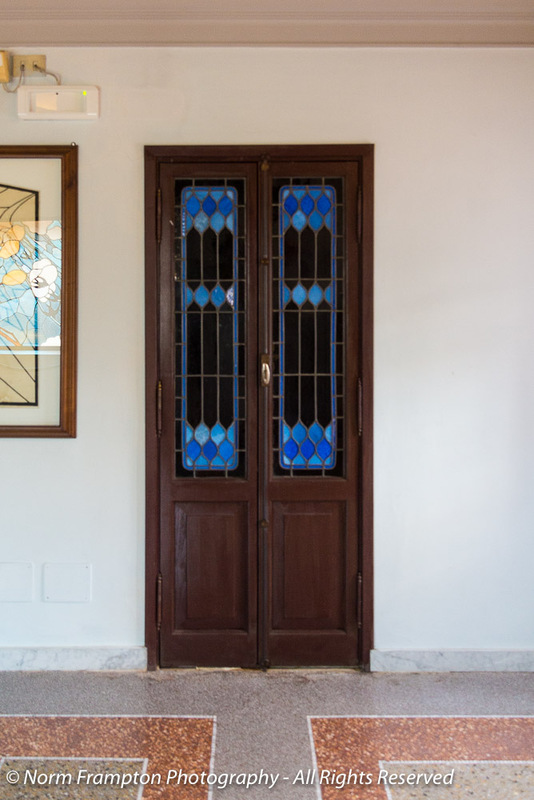 What precious designs on the glass of these doors! Not only I haven’t heard of this Villa before, I have no idea where it is. Well found! Thanks Manja. Full credit to Louise for finding this one and I think partial credit to you too. I believe she said she found it on the Atlas Obscura website you introduced us to. Wow is right! When I grow up, I’m gonna live there. These are absolutely stunning! WOW indeed! Merry Christmas Norm! The House of Owls is gorgeous. I love art the nouveau style. I see some of it is looks art deco. It’s a good thing it was restored.. I did my own version of ‘wow, wow, wow’ as I went from one photo to the next. 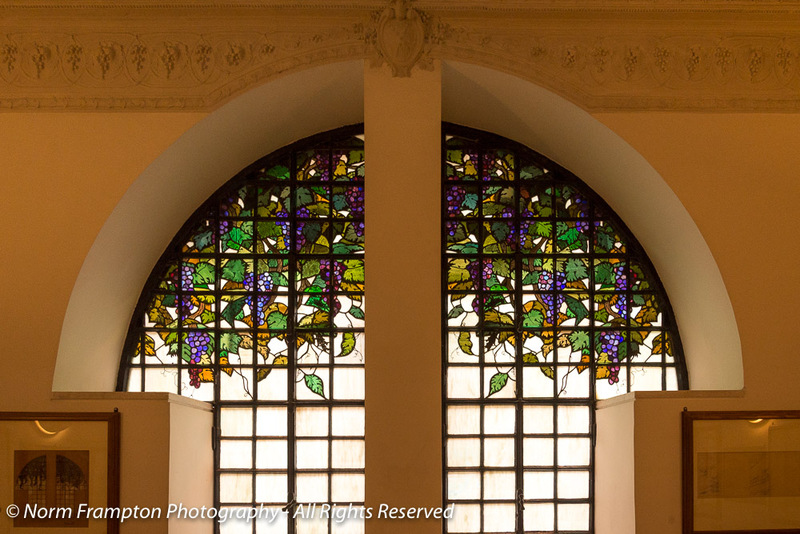 My favourites were the photos of stained glass with the vines. WOW! 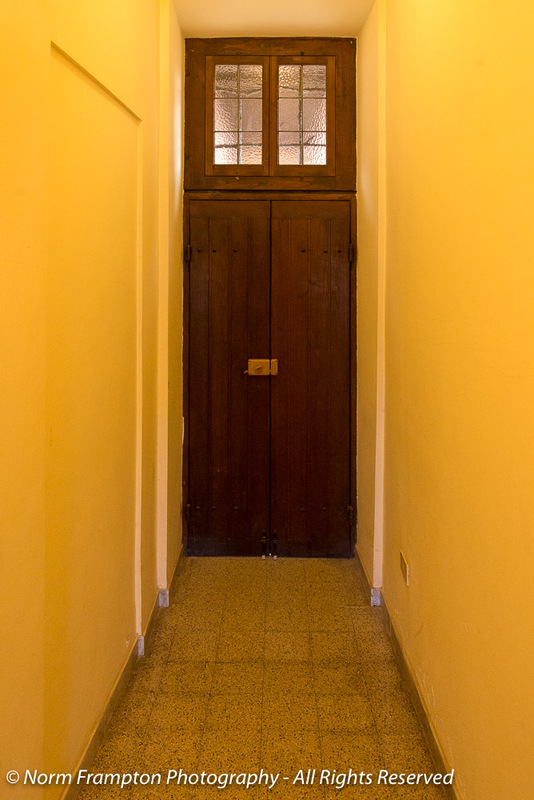 … but then at the end there was the door at the top of the stairs with a stack of windows climbing to the left. The entire building looks like an unusual creation but that photo really highlighted it! Thanks Joanne. With all there is to see in Rome, places like this often get overlooked. Full credit to Louise for finding it in the first place. It was one of my favourite things we did during our 5 days there. Wow, House of the Owls is so interesting with lots of angles and character. Beautiful stained glass too! 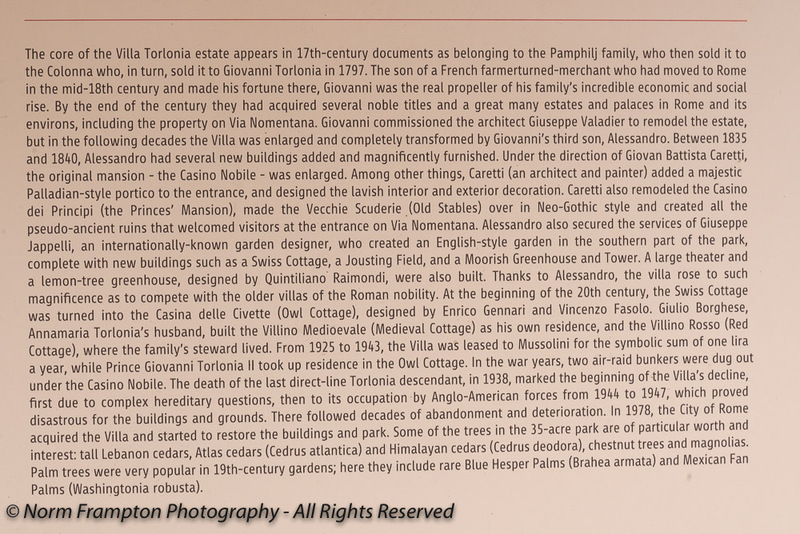 I’ll put Villa Torlonia Estate on my list. There’s so much to see in Rome that places like this often fly under the radar. We found it made a nice change of pace. What a gorgeous post! I need to go back and look at all these beauties again! Thanks for sharing these with us, Norm! Love those stained glass windows. The villa definitely has a Swiss feeling. Have a great Christmas and New Year! 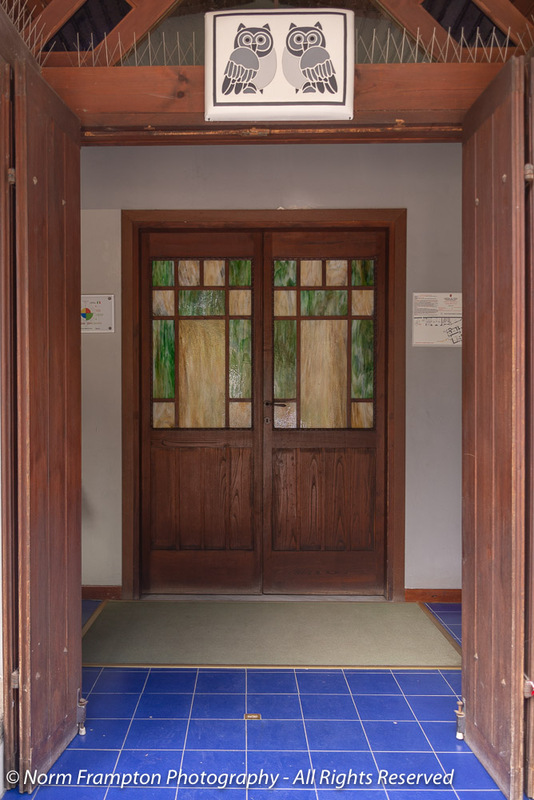 Loves these, the stained glass doors are amazing. Sounds like a really wonderful trip Norm. Makes me long for Rome. Yes, I can see how that would take some time. Should be fun. That is definitely a fascinating structure! Not only is its architecture just amazing, but, oh my goodness, all that stained glass!! I just love the stained glass. WOW! This is spectacular! 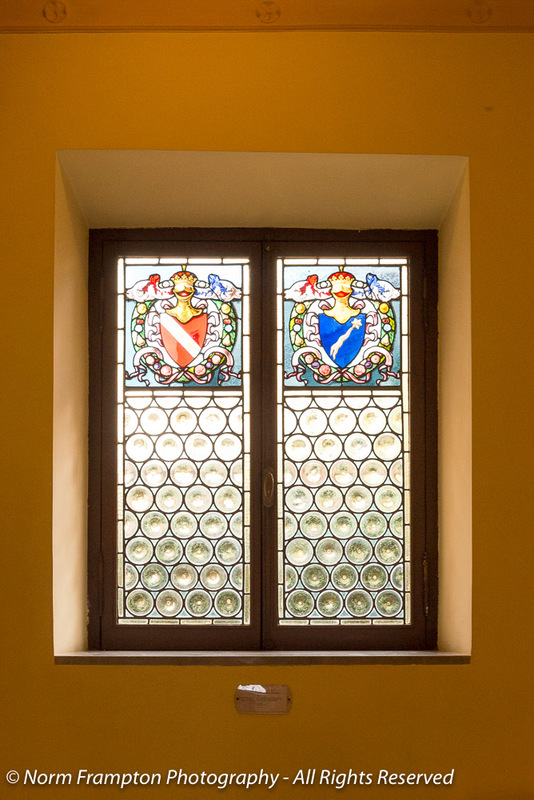 The stained glass windows are gorgeous – maybe this should be a Thursday doors and windows feature! 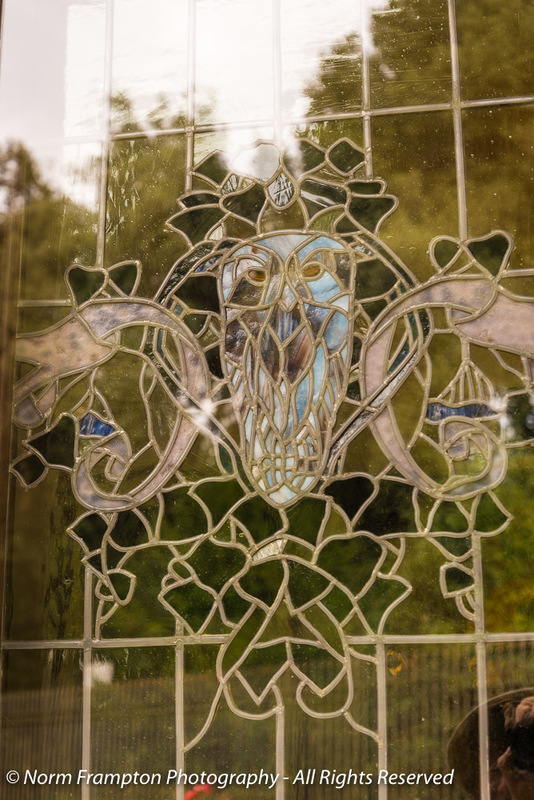 Absolutely gorgeous stained glass in this post, Norm, and I love the owl theme. The Swiss Cottage is sooooooo adorable. Looks like a Sylvanian Family toy house. Thanks Jean. It was sooo different for such an ancient city like Rome. Wow! 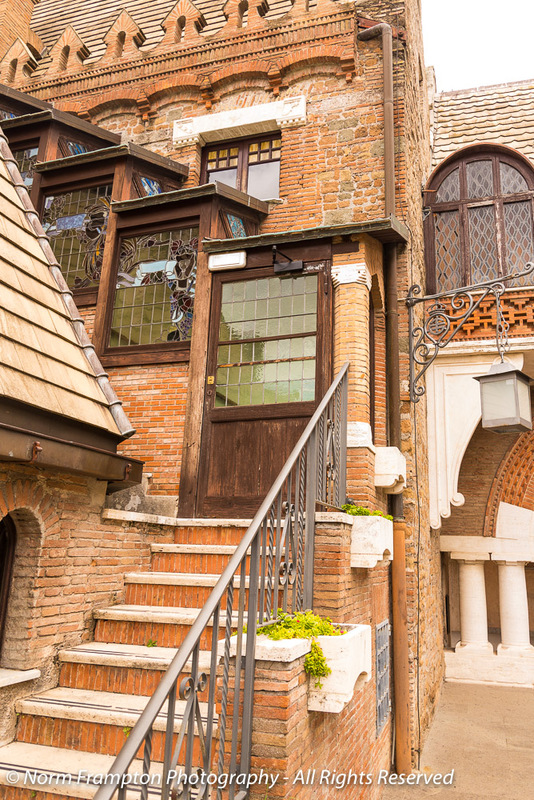 Yes, a good word for these beautiful doors, and windows. 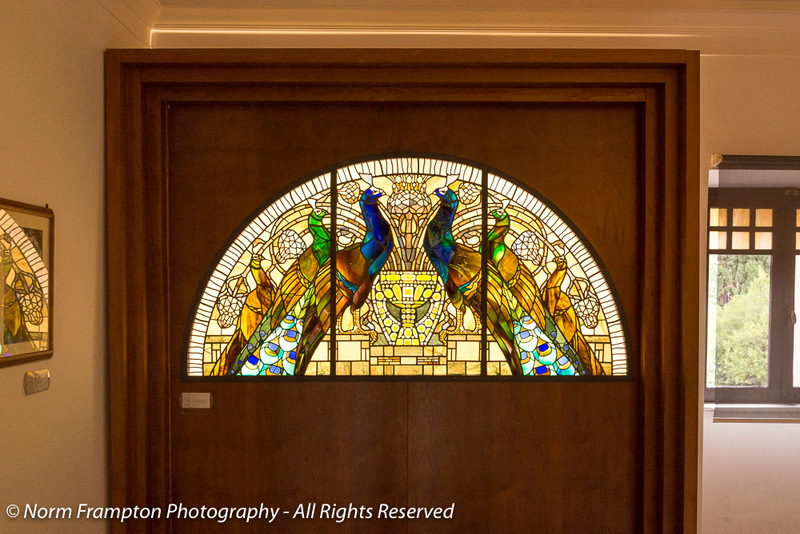 I thought my favorite was the vineyard stained glass then I came to the ivy with that gorgeous coved door entryway, then the peacock, and…oh! I can’t pick a favorite! Thanks Deborah. We found the place to be a nice break from the ruins like the Colosseum or the churches and fancy fountains. Such a different side of Rome. 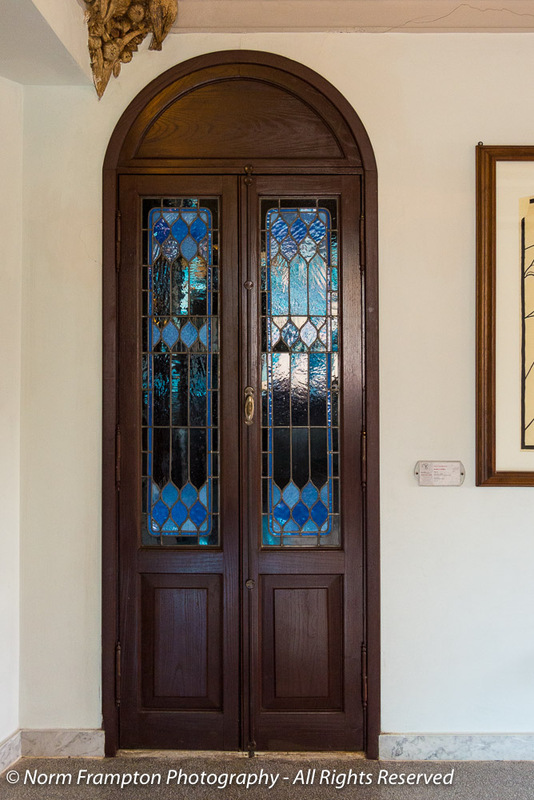 How exquisite are these doors and windows. Great shots. Hope to join back in after the new year. I agree – the stained glass is wonderful. What an extraordinary find and those stained glass windows are incredible. One for my next visit, whenever that might be. Definitely not the typical kind of attraction that people go to Rome to see. It was special in that we almost had the place to ourselves. Someone spared no window from being adorned. Simply gorgeous! All those stained glass windows are beautiful. And the doors look so sturdy. 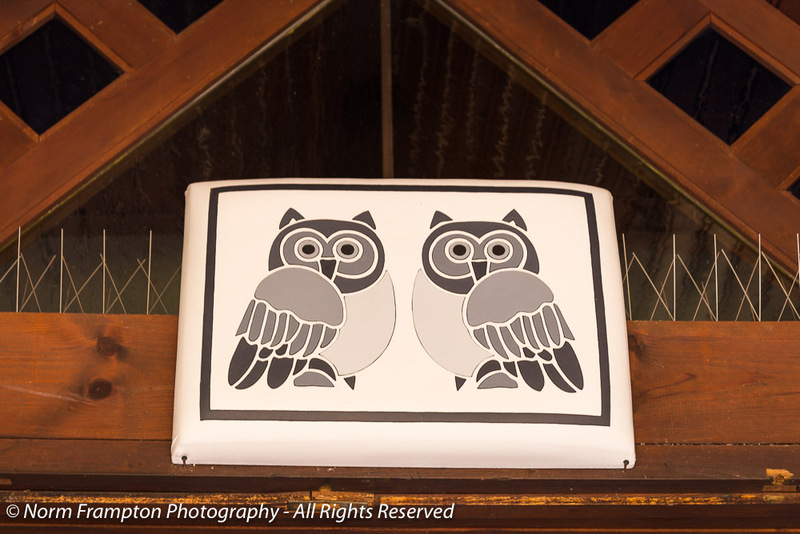 The owls on the Owl Cottage are a fun touch. What a place to visit! What an amazing building! 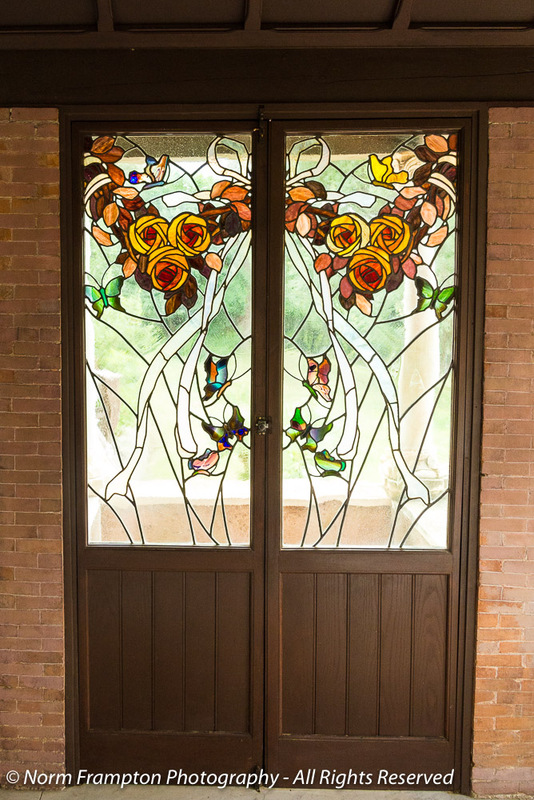 So many interesting doors and I love the stained glass – especially the butterflies in one. Your photos give a great impression of the place. These doors are such incredible works of art, Norm. I have never heard of this place, but it’s the kind of place I would like to visit. 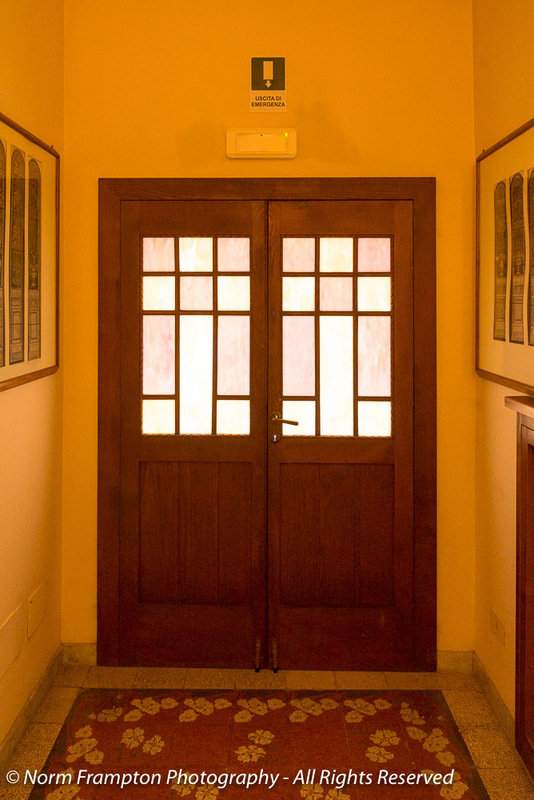 I am very impressed with the craftsmanship involved in making these doors. Whenever you have artistic pieces to mate to a door, both artisans have to get it just according to plan. You can’t trim a piece of stained glass like you can a wood panel. These are stunning examples of perfection! These are all beautiful, but I really like the one that is set into what appears to be a rounded dormer. 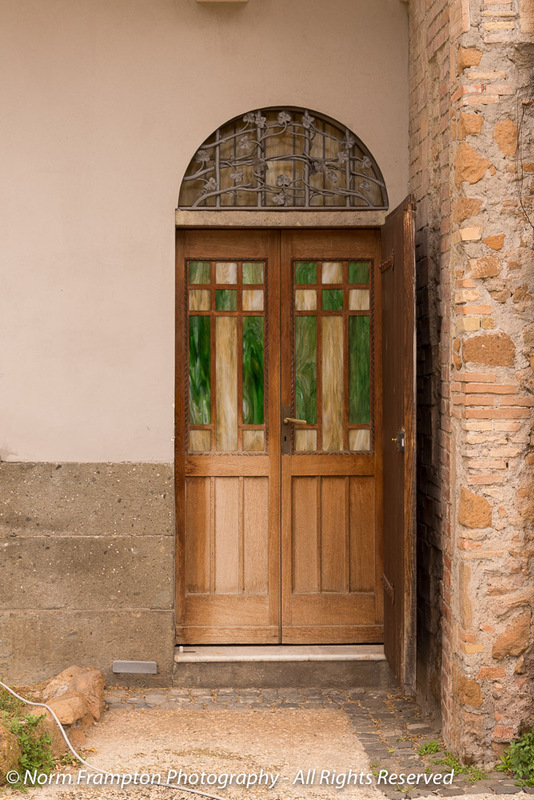 The arched transom stained glass flows perfectly into the stained glass in the door. That’s amazing. We had never heard of the place either Dan. We found it on a website that specializes in listing lesser known tourist attractions and places of interest. It made a nice break from the standard touristy stuff that everyone in Rome flocks to. 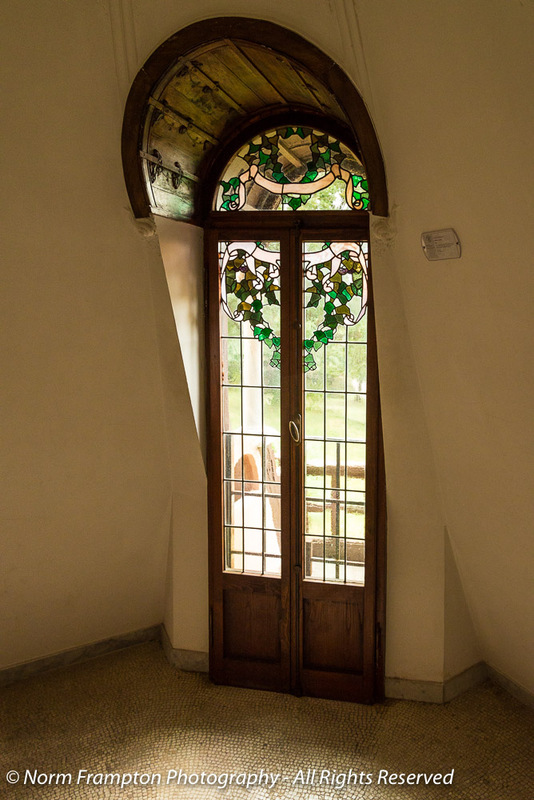 Beautiful stained glass and a truly extraordinary collection of doors, all from one building. Thanks for the tour. Thanks, Norm. I’ll check my spam!